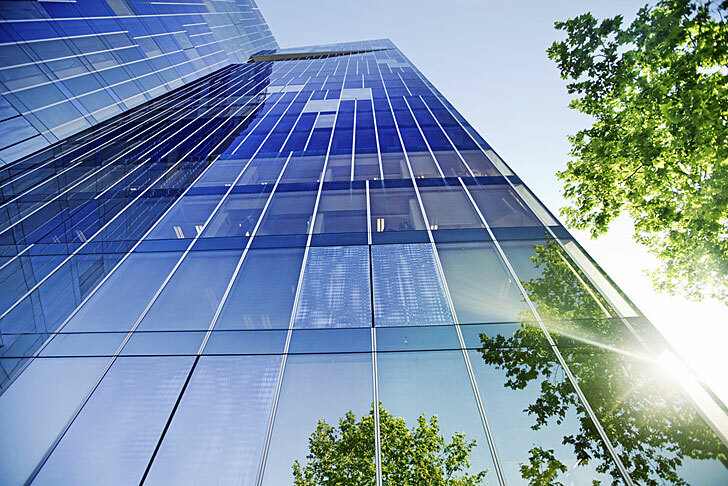 Is Your Office Building Ready For Porter/Matron Services? Up to now, your employees may have been taking turns emptying the trash and wiping down bathrooms. Or maybe you have a cleaning service that comes in at the end of the day to do these things for you. Your business is growing and it’s time to think about full time, on-site janitorial staff or what is also referred to as porter/matron service. The latter refers to the female gender while the former is…. you guessed it, the male gender. Consider the following advantages to make an informed decision. Cleanliness is usually the first thing a client, vendor or visitor will notice when entering your office, building or warehouse facility. Overflowing trash cans, dirty glass doors, debris on the floor and fingerprints on furniture surfaces all contribute to the quality of the visitor’s surroundings. Foot traffic will obviously track in rain and snow leaving puddles that are not only unsightly but dangerous, if slippery. Consider what you would do for occasional cleaning emergencies such as a spilled drink or potential accidents in the restroom. Employees cannot always interrupt their work schedule to mop a floor or empty trash cans. But more importantly is they will resent the employer for being asked to perform these menial and mundane tasks that are clearly not part of their job description! Why lose a good staff member that performs their “real job” without fail because they will not empty garbage cans? Your overnight cleaning company is not there during the day to catch these things. However, a day porter or matron would solve these day to day issues during your normal work hours. Hiring a porter, matron or janitorial staff can add up. 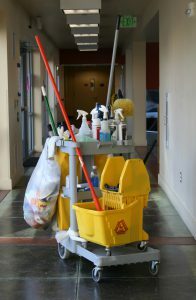 If you feel you are busy enough and ready for a patron/matron service and a night time janitorial service but don’t want the headache and expense of hiring your own staff, let Complete Care Maintenance provide you with their experienced personnel so that you can focus on running your company. We are a full service provider of commercial janitorial services for customers who are looking for quality, professionalism and consistency. Our well-trained, bonded professionals and uniformed porter/matron staff will carry out your customized cleaning plan each and every day. They not only provide a constant presence to maintain a high level of cleanliness, but react immediately to cleaning emergencies. We use sustainable and environmentally friendly products and approved cleaning procedures to protect the safety and health of staff, visitors and vendors in any type of facility. Our staff applies these cleaning products effectively and efficiently in order to reduce or eliminate environmental impact from chemicals and equipment that are used. Our team comes to you already trained and pre-screened. As you consider the pros and cons of hiring a porter, matron or janitor services, look through the websites of prospective janitorial service providers to look for customer reviews and a list of references. We invite you to call our professional representatives with questions and to visit some of our existing clients’ establishments and actually see the quality of our work. Contact us today for your free, no obligation survey.